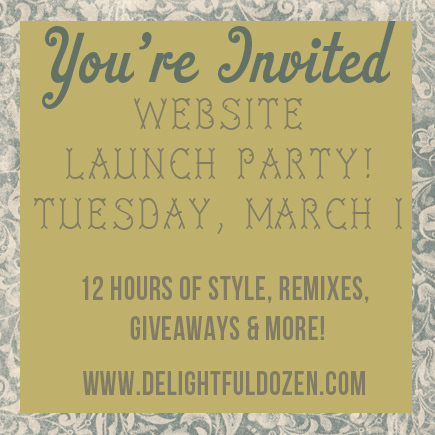 You're all invited to our website launch party, starting today at 9 AM! We will have 12 hours of style, remixes, tips, giveaways + more! We will be kicking off the start to the new Delightful Dozen! We will each be posting frequently on the blog with DD remixes, reader spotlights, ways to remix items, things we love, D.I.Y's, tutorials, giveaways and so much more! We're so excited! My post goes live at 5 pm, with an all new outfit post. What-what!